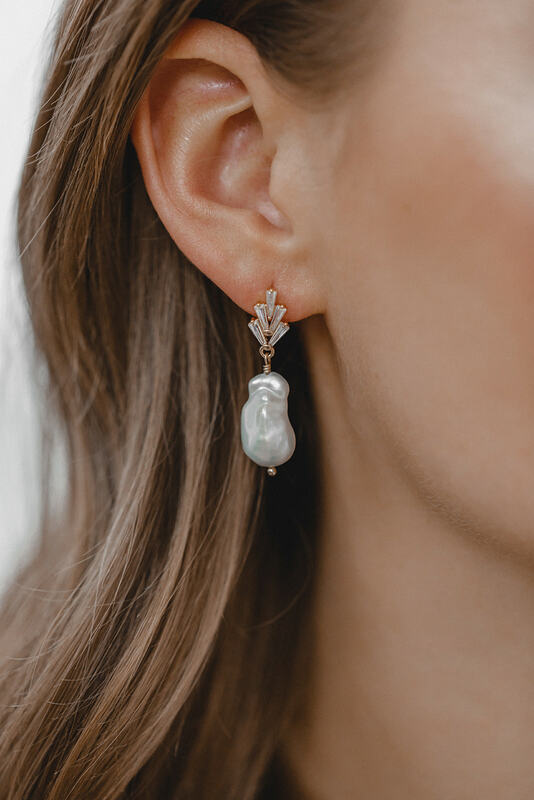 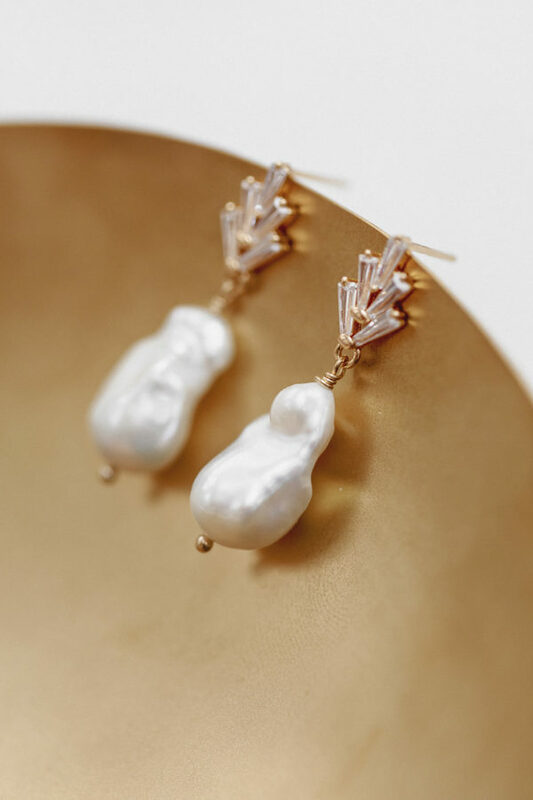 For these extraordinary earrings, we have created a modern, extravagant silhouette but used the traditional bridal jewellery materials pearl and crystal. 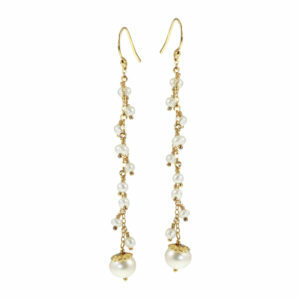 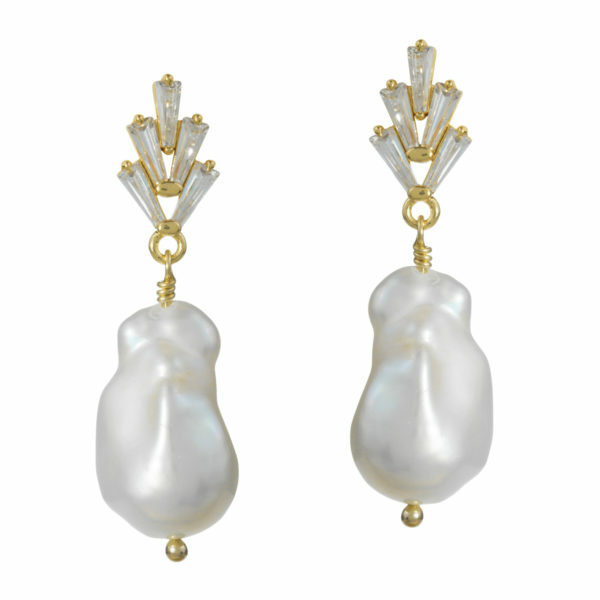 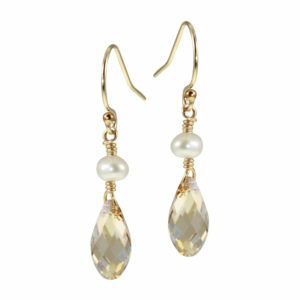 A large, white baroque freshwater pearl – each entirely unique, no pearl resembles another – descending from chic, crown-shaped stud earrings made of five elongated crystals. 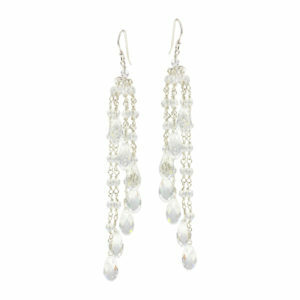 They are a perfect jewellery piece for a bride who is aware of traditions yet keen to step out of the crowd to go her own way.